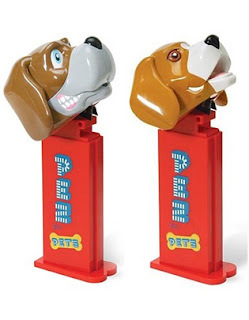 There is just something so nostalgic about Pez candies and all of the collectible dispensers, so why not let your dog in on the fun? These giant beagle- and hound-headed dispensers release all natural, real meat flavored treats made from cornstarch, and go for around $4.99 on Amazon. I know that in my family growing up, there wasn't a special occasion that didn't involve giving or receiving a Pez dispenser. Now, I'm excited that Daphne can enjoy those same experiences with me.